Pic: Very Funny: National Socialism explained in 10 seconds! [I laughed so much at this. 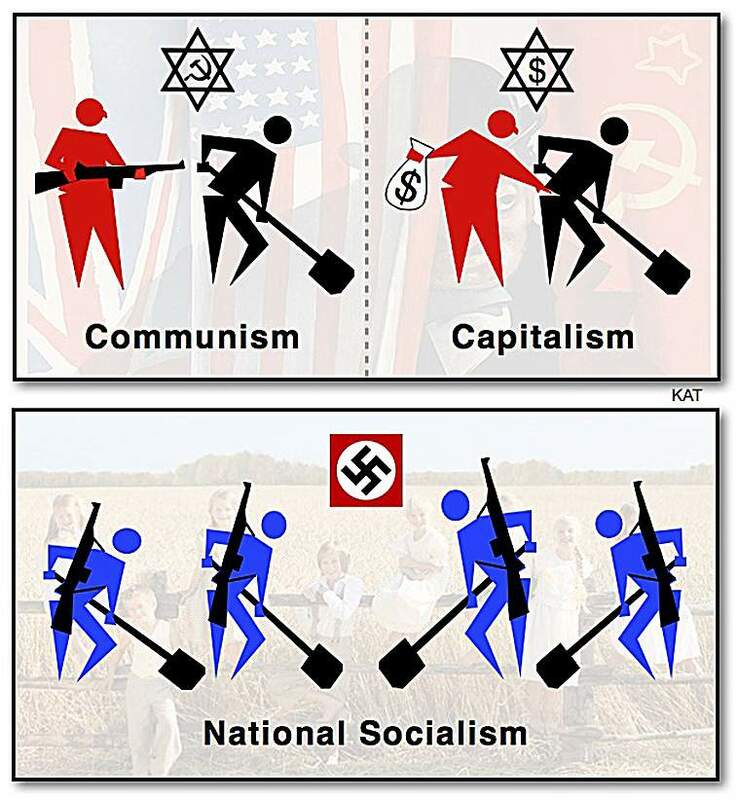 In these pictures you will understand in an instant what is the difference between capitalism, communism and national socialism. And I hope those pictures will explain to you also the reason why this is the best system. 10 Pics: Dylann Roof’s beautiful sister Morgan arrested for Guns & Drugs! Britain will fight to the last Frenchman – Israel will fight to the last American!